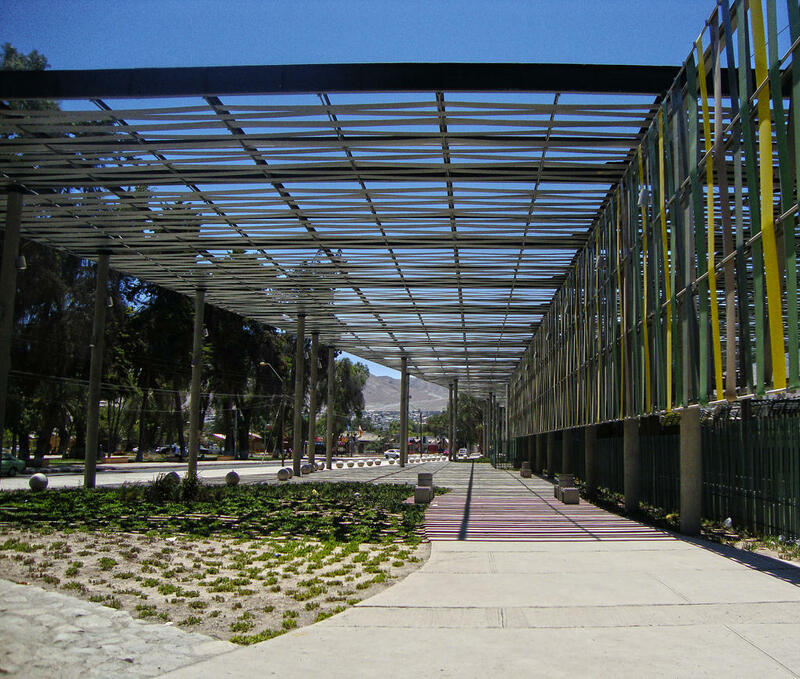 Its predecessor was built in 1960s in the very same spot, but this is the two's only connection. 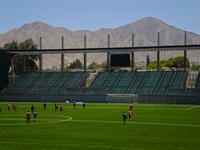 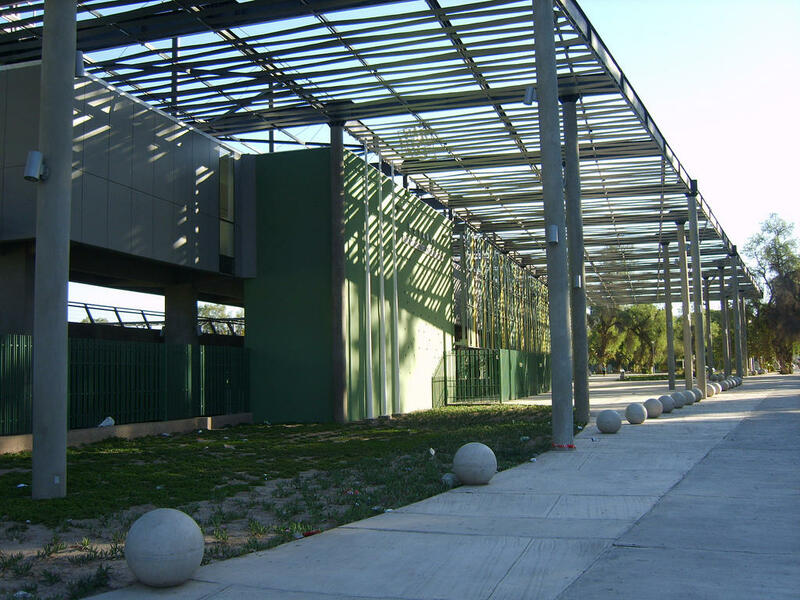 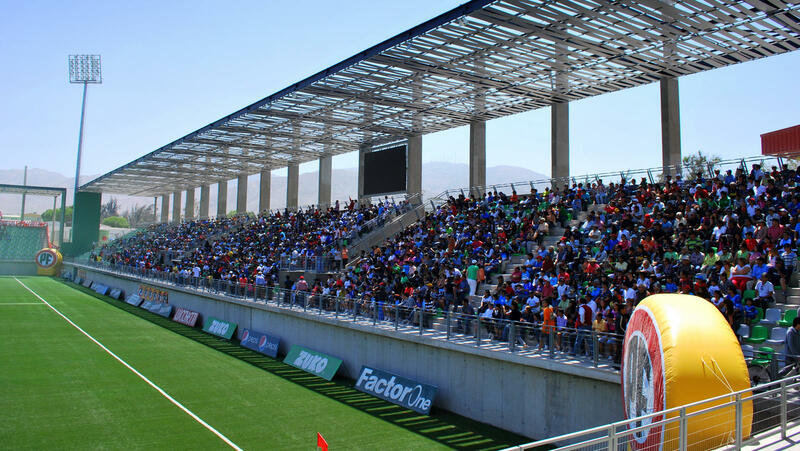 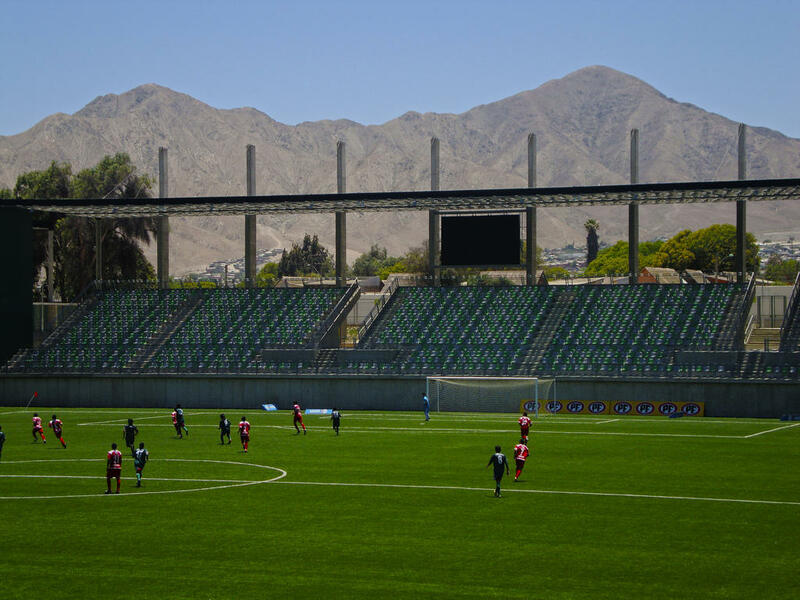 Authorities of Copiapó were even considering changing the location to make way for a mall, but the decision was changed once authorities were able to use federal funds of the bicentennial project of stadium redevelopment. 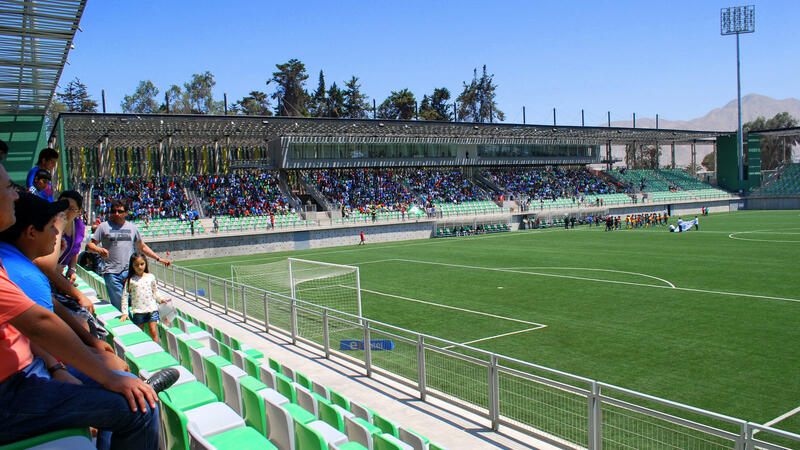 Design and construction of a new stadium in this site was carried out by Socovesa company, who managed to meet all requirements and prepare a very interesting plan. 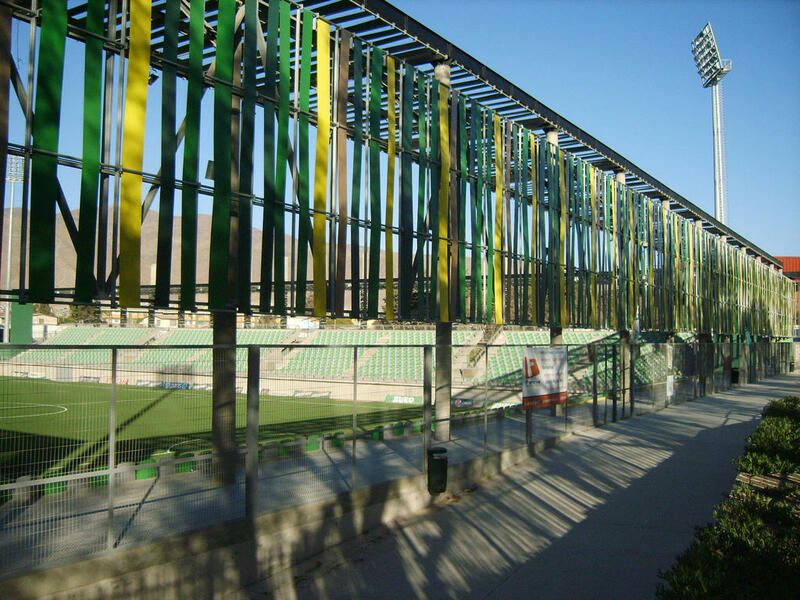 The new stadium envisaged façades and roof made of strip-weaved fabric (providing shade rather than rain protection) in natural colours. 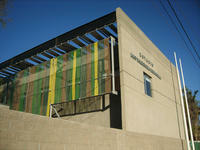 Local stone was also used for construction and native patterns appear in the design as well. 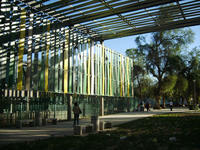 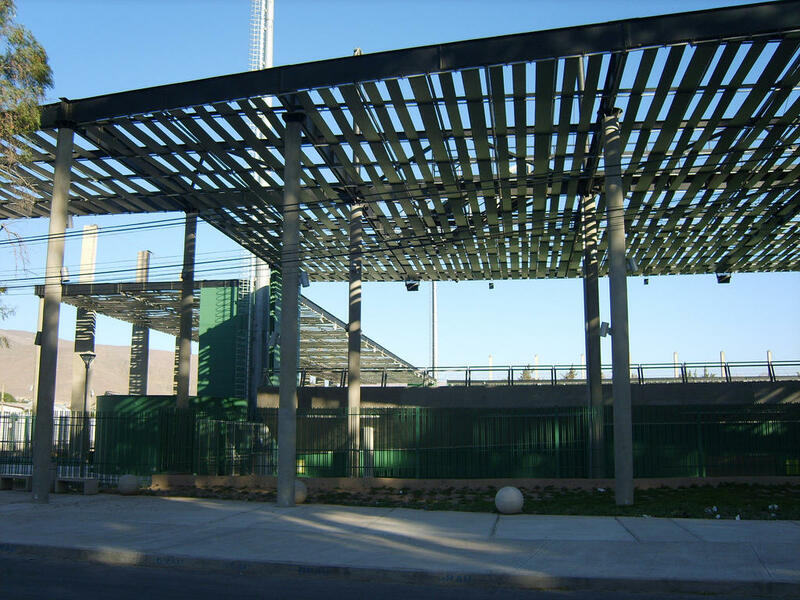 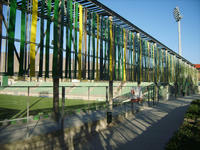 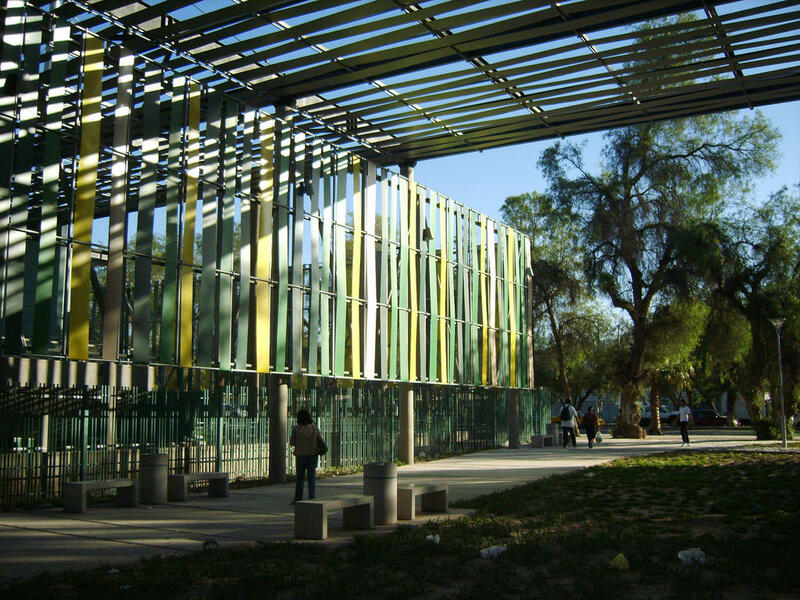 The strip-weave canopy over stands extends onto a shady plaza nearby, symbolically connecting the stadium with local park. 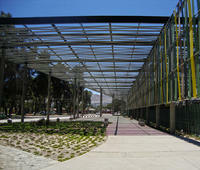 Construction took some 2 years, ending in November 2011. 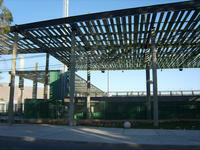 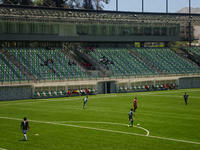 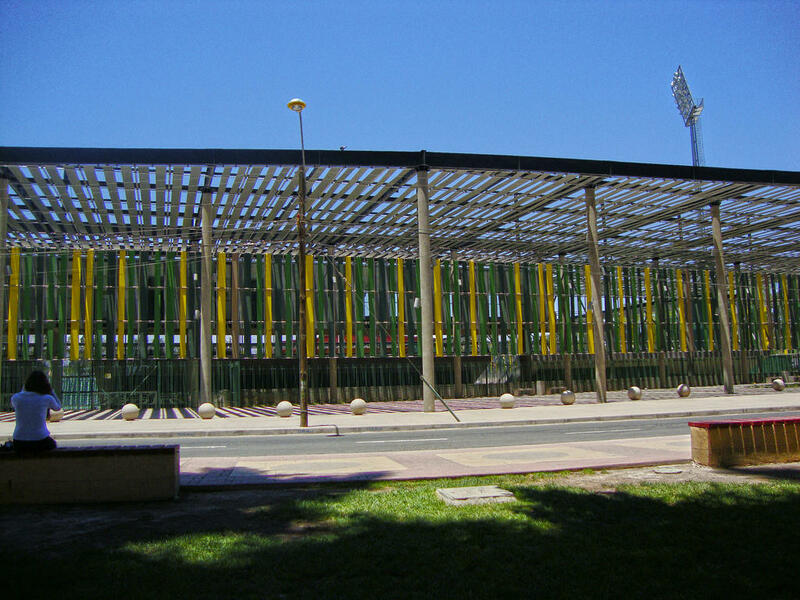 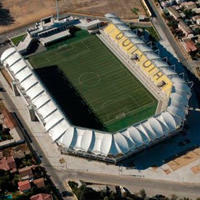 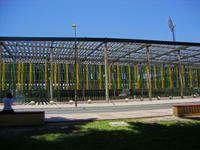 After opening the half-sunken stands are now used mostly by Batallón Albiverde, fans of local football side Deportivo. 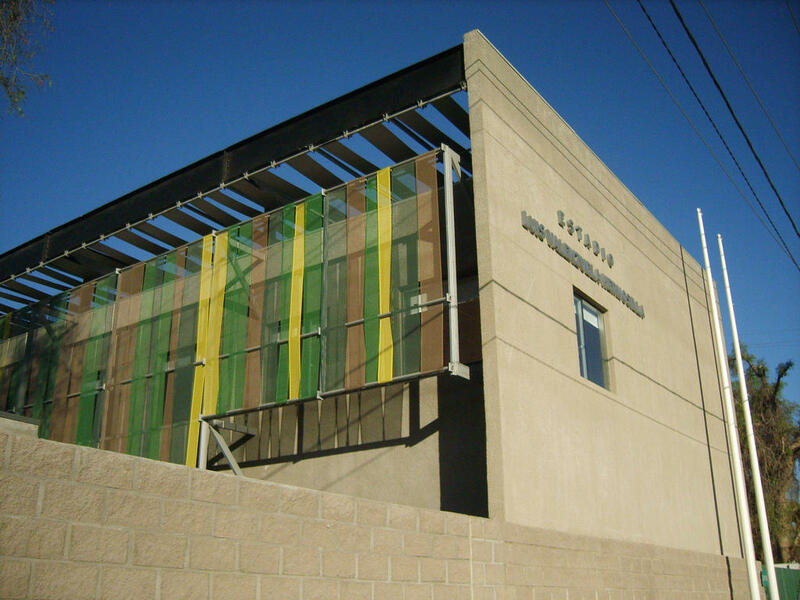 Sounds exotic? 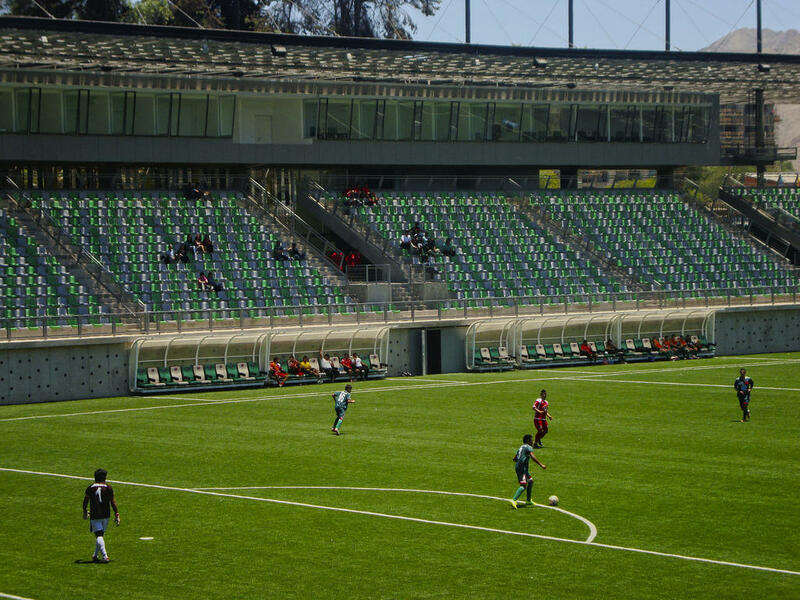 It should, because many people have no idea how many great stadiums are being built in Chile. 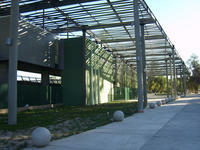 Today we take a peek and show you three of them, but as soon as we get more photos for use, more will come!